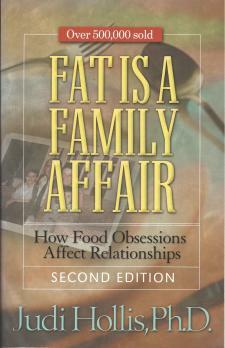 With more than half a million copies sold, Fat is a Family Affair is recognized as the benchmark text on family dynamics and eating disorders. Newly updated with current research, perspectives, and stories, this instructive and engaging eating disorder book provides the latest thinking, compassionate counsel, and step-by-step assistance to individuals who suffer from compulsive eating behaviors--specifically overeating and undereating. Judi Hollis is eminently qualified to offer guidance on this topic, having counseled families for more than 30 years and pioneered the nation's first Twelve-Step eating disorders treatment program. Judi Hollis, Ph.D.., is a licensed marriage and family counselor with special training in addiction and sexuality. She maintains a private practice in New York City and teaches on a number of faculties. Dr. Hollis, who is in recovery from an eating disorder, has been counseling addicted families since 1967 when she helped to establish New York City's Phoenix House programs. In 1975, Dr. Hollis founded the HOPE (Helping Overeaters through People and Education) Institute, the nation's first addiction-model eating disorders hospital unit.